The fact is that this new generation of graphic adventures creates controversy between the players, but it is also a reality that in recent years are achieving some popularity and acceptance. They managed to melt film, television and video games almost completely. Its experience affordable and direct game, based on Quick Time Events, give the player the always engaging experience to shape the narrative and history of the video game based on their own decisions, almost at will, in a dynamic, personalized, natural and film. Quantic Dream, a pioneer in the creation of these experiences study or Telltale Games with good repertoire of adventures, are the best example of this style of play that is slowly making it a niche in the market, because there is a part of the public who knows to appreciate it. No regular players and players with callus. The first enjoy an interactive movie where you can bask claiming they are the ones who write history in a game that often seems almost real, and seconds are in such proposals an alternative to general catalog and a moment of respite in More complex mechanical game through an elaborate and deep history, pressing buttons at the right time and when I ordered. 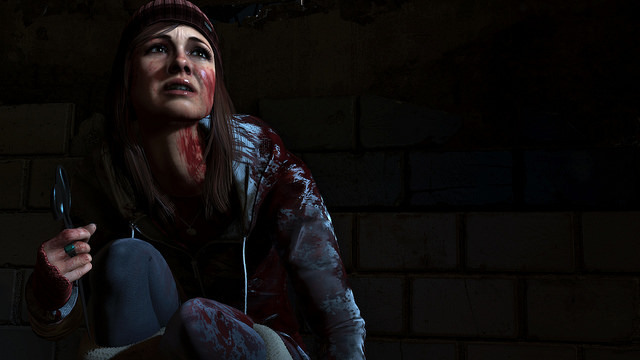 If you’ve played Heavy Rain, Beyond: Two Souls or The Walking Dead you’re probably thinking that Until Dawn of Supermassive Games may be more of the same. You’re right, it is, but it is also true that it has elements that seek to differentiate, providing more than just pressing buttons ultimately show their own character. Gameplay Until Dawn offers a little more depth thanks to possibilities within this genre guided appreciated. To begin the free movement of the characters through the scenes very reminiscent of the first Resident Evil (specifically the Code Veronica) with static or following the player from points chosen with great success levels. This freedom of movement along with other mechanics that take advantage of the touch panel and motion sensor DualShock, even now shooting or shock applied in certain actions during the game, serve to offer a little more variety in the tone “press OK now.” Unfortunately, some of these mechanics are not used as much as we would if we compare it with the quick time events that capture almost all the attention. Interestingly, these sequences of buttons are faster than in other adventures and require a bit more flexibility when reacting. 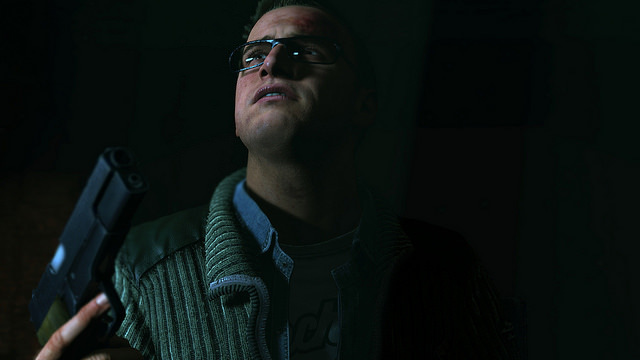 Where it really Until Dawn is intended to highlight in its decision-making system, with the famous “Butterfly Effect“. During the course of history we will face many situations where we have to choose; important, simple, complicated and others that seem unimportant decisions. All could have a huge impact on the course of events and sometimes not immediately, if we do not we can experience its effects afterwards, directly affecting the plot. During our progress, we find a kind of visions of the future in the form of small totems, which offer us omens of what can happen if we keep playing the way we’re doing it. Control eight random characters (all real film stars and TV). The personality traits and the relationship between them, Iran modified during the game depending on the choices we make. At this point it is noteworthy that Until Dawn presents an episodic serial format type. At the end of each of its ten chapters, we attended a meeting with the psychoanalyst Dr. Hill, played by actor Peter Stormare. Dr. interacts directly overhead through your questions, our answers will determine a number of parameters which apply during the game and will be visible for the rest of the game. In a horror game is an interesting system that manages to integrate or create custom items, fears or phobias own player to a story or script already established. Perhaps this is, as the cited Butterfly Effect, the most interesting feature of Until Dawn as interactive film and the feature that sets it apart from other proposals in its class. On one occasion David Cage said he recommended his adventures play once, so the experience would be unique and personal. Some of the point but after sixty spend many dollars has “grace” someone says “play it once.” The truth is that I never want to start over any of his work, mostly because after finishing a game of this nature, rarely return to put it in your console. 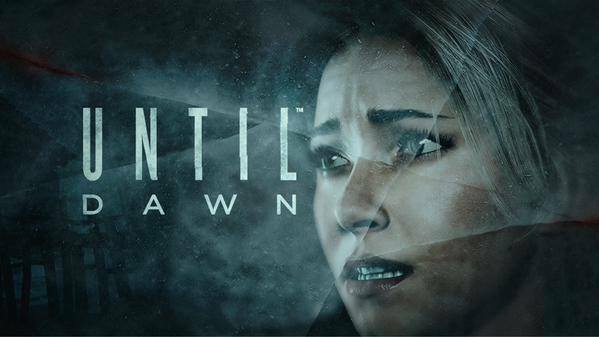 In this regard Until Dawn gets something most of these interactive movies fail. Show replayable. Our decisions can get a character dies, another survives, the whole group gets succeed or that “neither Peter” got to see a new dawn. The fact of making a fatal decision, wanting to carry you to the character that you hate so much, protecting your favorite or pretend to save the whole group even collect all the clues scattered around the stage, which throws many details of the argument, makes us to stay wanting to see the other end, check other ways and to experience other possibilities at particular points in the adventure. The “and if I had done this … “ or ” if he had decided that …” mark you get to the point of wanting to go through the same situation again. Personally I have come to end Until Dawn three times, he survived only the first character on the second occasion counted five of them and another two protagonists were left standing. I have not really seen much difference in the course of history and of course the established script remains unchanged in many of its parts. I recently read that there are three possible endings; one good, one evil and one secret. In my three games outcome it occurs in the same place and in the same way. However, it is always interesting to go back to finish the game to hear the story of each of the survivors talking about their traumatic experience. Based on your courageous decisions and sometimes cruel. However, we have analyzed another popular game Metal Gear Solid V: The Phantom Pain and published an article on GameGreatWall, hope you read that and if not you should be as Metal Gear Solid V is one of the best game of this year till now. Until Dawn is an ode to horror movies, full of clichés, topical, typical characters and many nods to films of the genre. However it achieves its goal in a fun way with a story that takes to boot but as you go is getting more interesting. Its script was written by Graham Reznick and Larry Fessenden. Finally I can only add that the whole repertoire of graphic / interactive movies I’ve had a chance to play adventures, Until Dawn is the most fun I have and the only one that has managed to “itch” to the point of returning to play. This detail and more in this genre, I think that is an achievement. The scenarios and characters. Noting graphic quality easily begin to fantasize about a real survival fed with Umbra 3, the graphics engine Until Dawn. Pete Samuels, producer of the game, once spoke of thousands of roads and hundreds of possible endings, where are they? Some mechanical could have been used better. The system of personality and relationships between the protagonists at first glance does not seem to have much relevance.